Why People Love Go Goa Car Rentals For Airport Transfer Service? In Goa, mostly cab services are followed predominantly although there are train and bus services. ‘Go Goa Car Rentals’ is the brand name of the fastest Goa airport cab service. Since Goa is a small state, so there mostly cab/taxi services are considered to reach the destination point. ‘Go Goa Car Rentals’ has both pick-up and drop-off facility to hotels, any beaches, clubs, and casinos or anywhere in North Goa. Even our cab service also undertakes the sightseeing facility through our cabs. ‘Go Goa Car Rentals’ is the smartest, flexible and hassle-free airport transfer service in Goa. Our cab services provide all the possible arrangements in the cab and regarding the cab service to make your journey safe and comfortable. In Goa, there are various companies running as Goa airport cab service but in most cases, we see themselves letting down their norms and regulations. Over the years, people are being helped by our fast booking facility and enjoying a safe drive. ‘Go Goa Car Rentals’ is especially known for its fastest airport transfer service in Goa. Besides, all sorts of modern amenities are installed in our cabs to welcome you with amazing experience throughout your journey. We stand out to be one of the most efficient cab services at Dabolim International airport, Goa. Our perfectly trained drivers are best and flexible with the four wheelers. Actually, our drivers are hired very meticulously into our company after overcoming various examining sessions. We ensure that our drivers drop you to your destination in the shortest time. The roads of Goa remain very uncomfortable during the rainy seasons between May to September. But our cab drivers offer you the most hassle-free and easy journey on the roads. We believe in the full customer satisfaction and this is why we have tried to make our taxi service and internal infrastructure both customer-friendly. 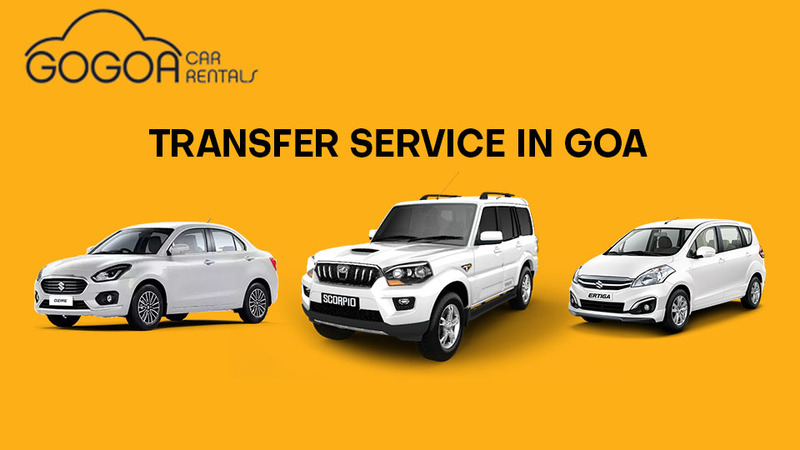 Over the years, each and every person associated with ‘Go Goa Car Rentals’ are dedicating their lives for the passengers and their satisfaction. Not only has a smooth cab service, in fact, our drivers do also help the passengers with their heavy luggage around the airport area. Besides, our company also serves sedans for the passenger to make their journey cozier. Finally, we have around the clock service and which attracts most of the people including foreign visitors. We have always gained a very positive attitude and appreciation from the people who have stepped in Goa for the very first time. We take pride in our passengers. Previously we have already discussed that we have stamped a low or regular price for our cab service. Airport Cab service rates of ‘Go Goa Car Rentals’ depend on the passenger’s destination and the vehicle that he or she has selected. In spite of that, we have tried to maintain overall standard rates for the passengers. Nevertheless, as per our statement, all sorts of modern amenities are installed in our cabs and that gives it a premium outlook and service. In most of the cases, Sedans are allotted for the airport customers in Goa. Sedans are used for airport pick-up and drop-up. Besides, as per demand SUV is also poured into the work if the number of passengers are increased to four (4). But in the case of SUVs, the service fare is usually high comparing to Sedans. Now as almost all the service bookings are available online. So we warmly welcome you to book your airport transfer via online mode. This is obviously for the avoidance of hustle and bustle and last moment commotion. Even by online, there are many offers for savings facilities and selection of better vehicles for your journey. In case of, advance booking, assurance of guaranteed cabs are there for you even in the paucity of cabs due to heavy bookings. ‘Go Goa Car Rentals’ is the best airport cab service in Goa. We welcome you if you are planning to visit in Goa for the first time.